Susan Nunan is Associate Lecturer and Undergraduate Course Coordinator for the Professional Practice 1, Mental Health and Older Adults' Health courses for the School of Nursing, Midwifery and Social Work, The University of Queensland. Susan joined the School in 2010. Susan has extensive clinical nursing experience in General Medical, Coronary Care and Surgical Units in major hospitals in Brisbane and Sydney, as well as in QLD and NSW rural hospitals where she has also facilitated undergraduate nursing students. In addition, her clinical experience includes; Community Nursing, Gerontological Nursing and Dementia Care in both city and rural settings in QLD and NSW. Susan is a Registered Nurse Division 1 with the Nursing and Midwifery Board of Australia, and is a member of the Australian College of Nursing. Susan has a Masters of Health Professional Education, a Graduate Certificate in Clinical Practice, a Bachelor of Arts, Research Master of Arts, and has undertaken post-graduate course studies in Wound Management and Mental Health. 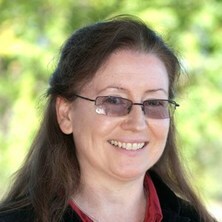 Susan’s current research interests include falls risk assessment and management, and she is currently a PhD candidate within the UQ, School of NMSW, with thesis entitled:Evaluating the validity, reliability and feasibility of a falls risk assessment tool recommended for use in Australian residential aged care facilities. A mixed methods study. Other areas of research interest for Susan are in Healthy Ageing and Older Adults' Health. Susan is a current PhD candidate within the UQ, NMSW with thesis entitled: Evaluating the validity, reliability and feasibility of a falls risk assessment tool recommended for use in Australian residential aged care facilities. A mixed methods study. Healthy Ageing and Older Adults' Health. Falls have significant consequences for older adults including mortality, fractures, and contribute to loss of confidence, pain, reduced mobility and dependence. This presents a major burden on the individual and the health care system, with up to 1.5% of the health care budgets in Australia used on costs related to falls. Fall rates for older adults are greatest in residential aged care facilities (RACFs) also known as nursing homes (NH) or long term care facilities (LTC). Rates of falls are one in two residents experiencing a fall in every six month period or 1.7 (0.6-3.6) falls per bed per year, which is a rate of about three times that in the community. Susan’s research results will help address a significant clinical pathway to reduce burden on the individual residents of RACFs as well as assisting RACFs to align with policy that aims to improve quality of end of life for the older adult. This in turn would reduce the burden of care on clinicians and care staff. The wider repercussions of the research would impact on reducing health care spending in relation to falls injuries. Master of Health Professional Education, C.Qld. Graduate Diploma of Health Professional Education, C.Qld. Graduate Certificate in Clinical Practice, C.Qld.